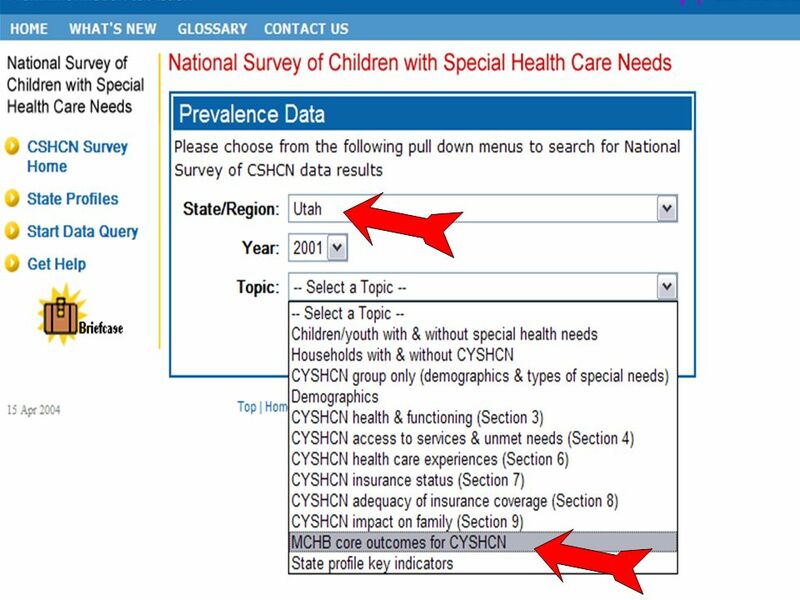 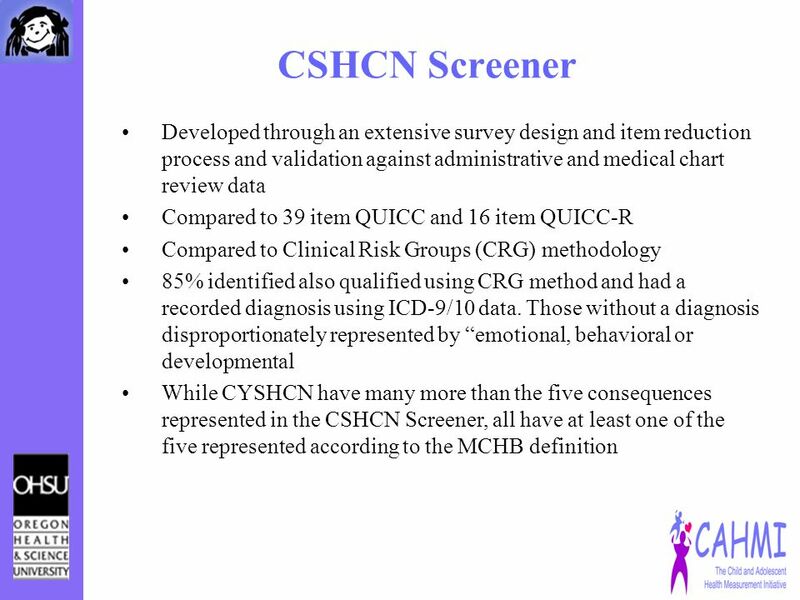 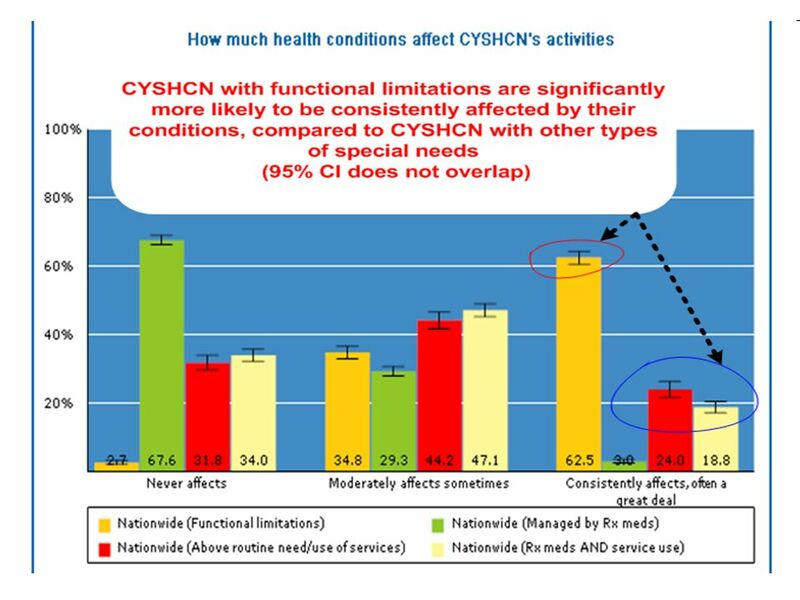 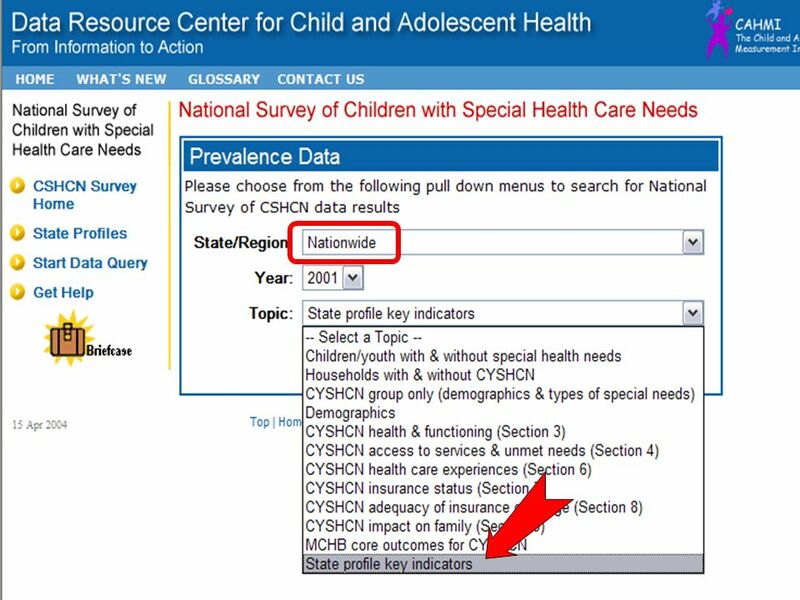 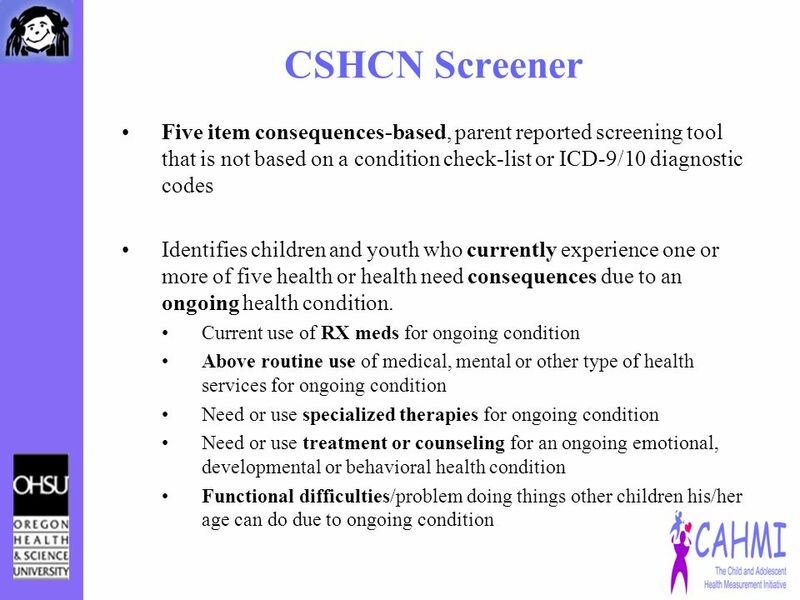 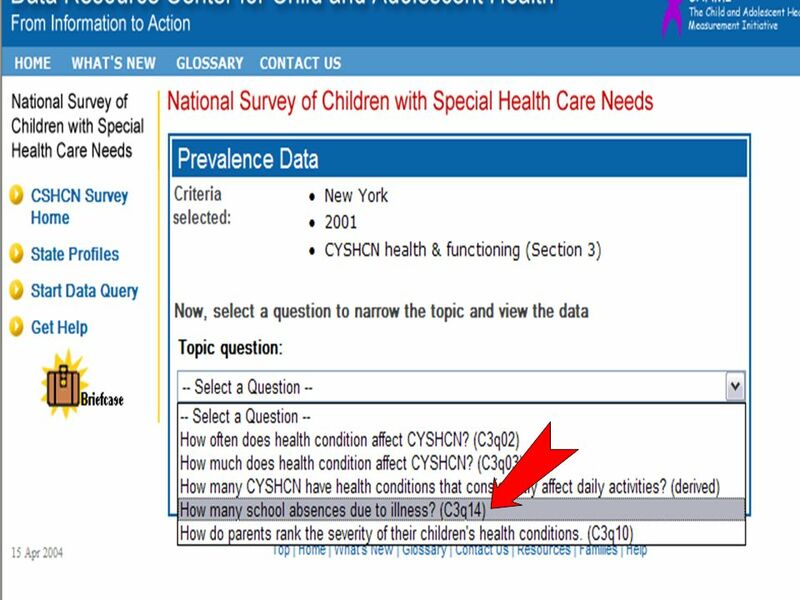 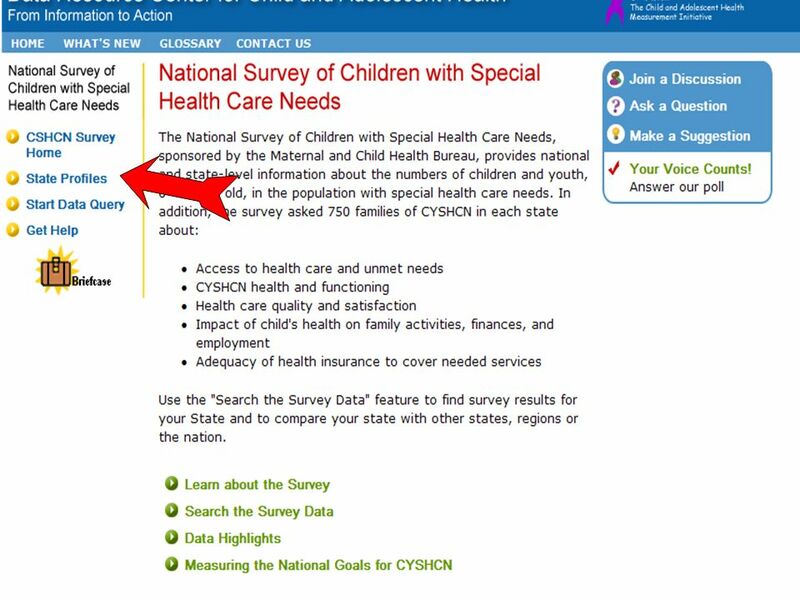 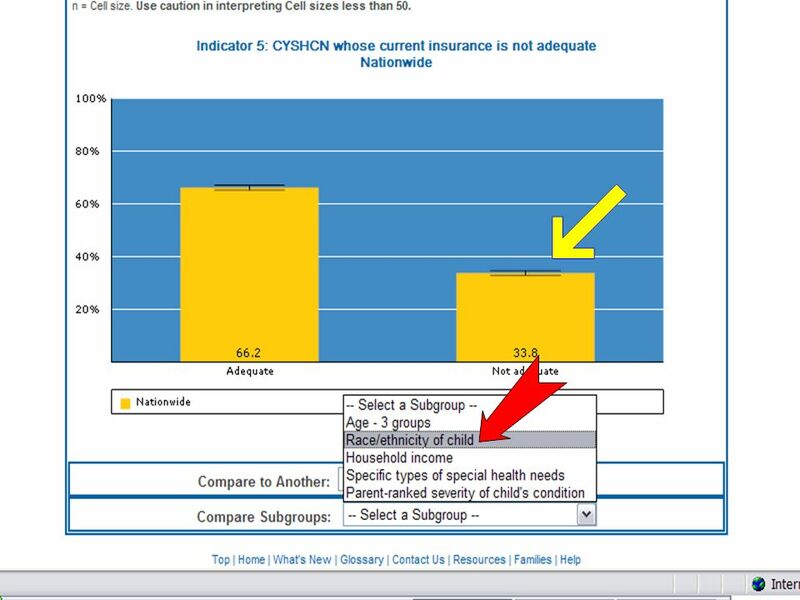 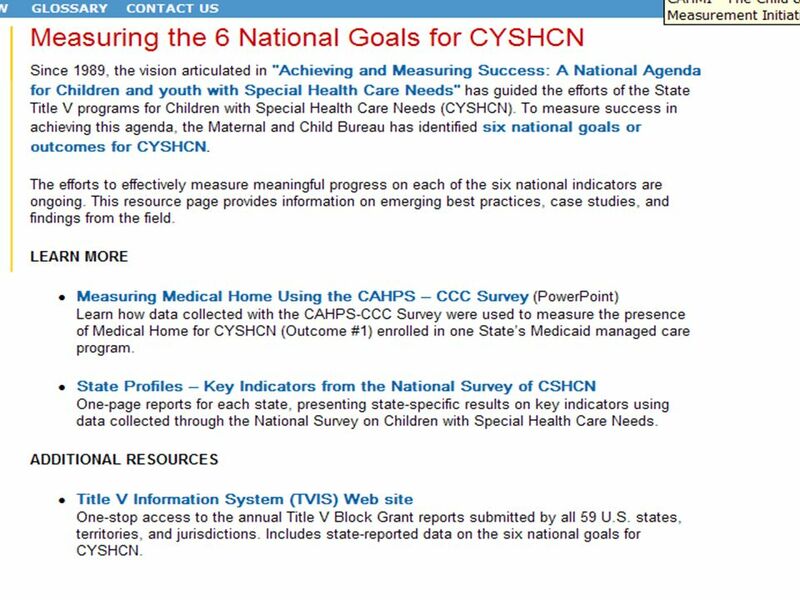 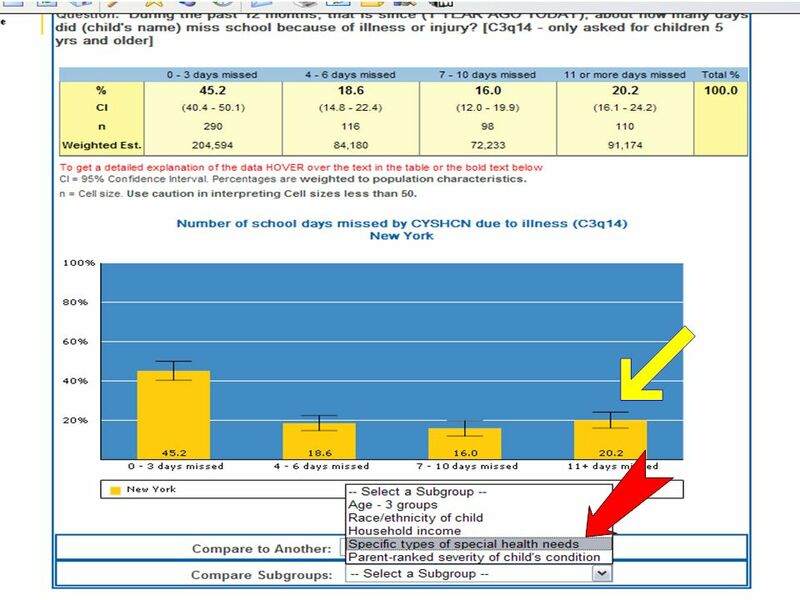 5 CSHCN Screener Developed to operationalize the federal MCHB definition of CYSHCN Children with special health care needs are children who have or are at risk for a chronic physical, developmental, behavioral, or emotional condition and who also require health and related services of a type or amount beyond that required by children generally. 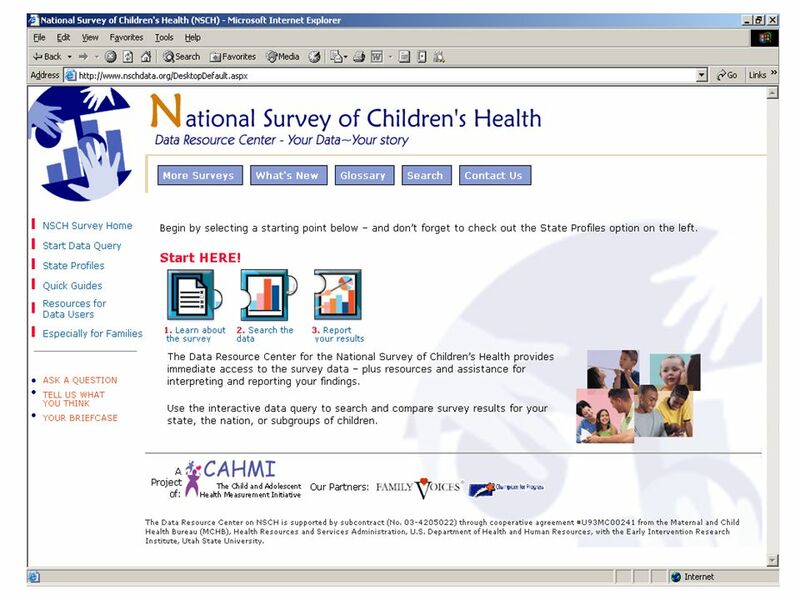 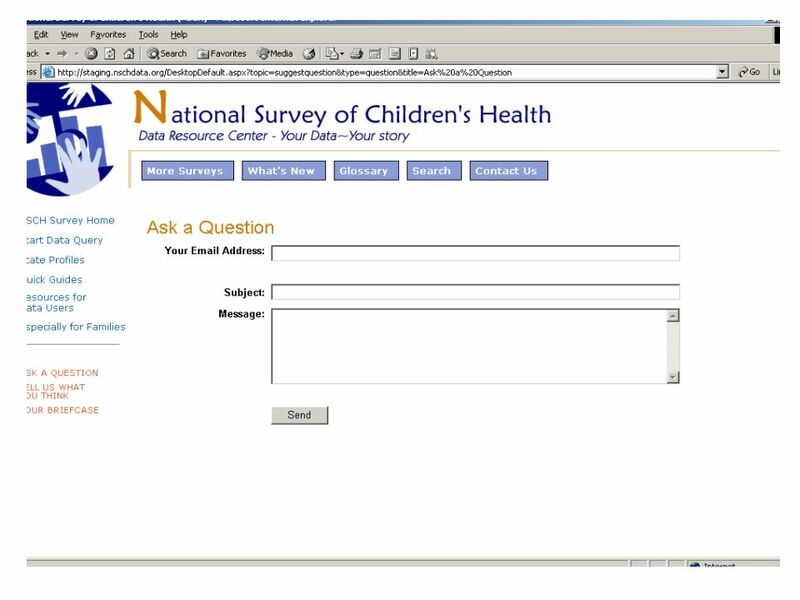 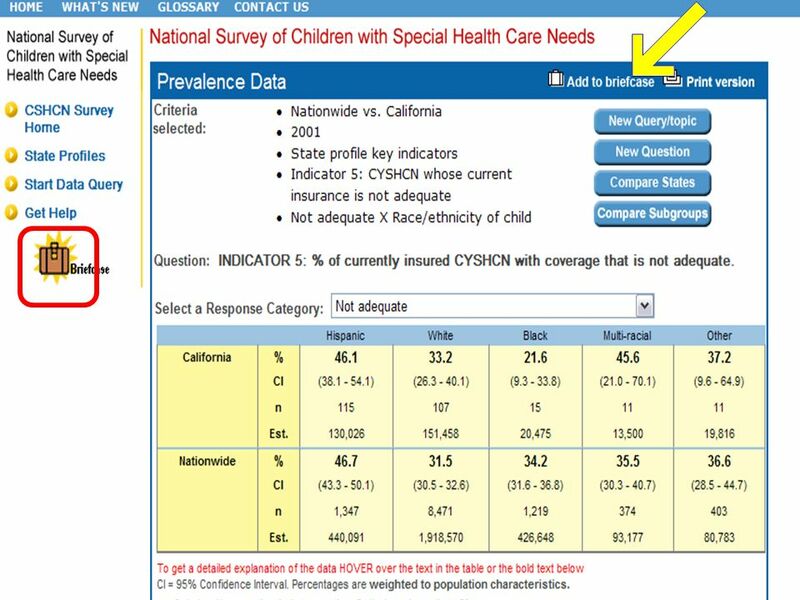 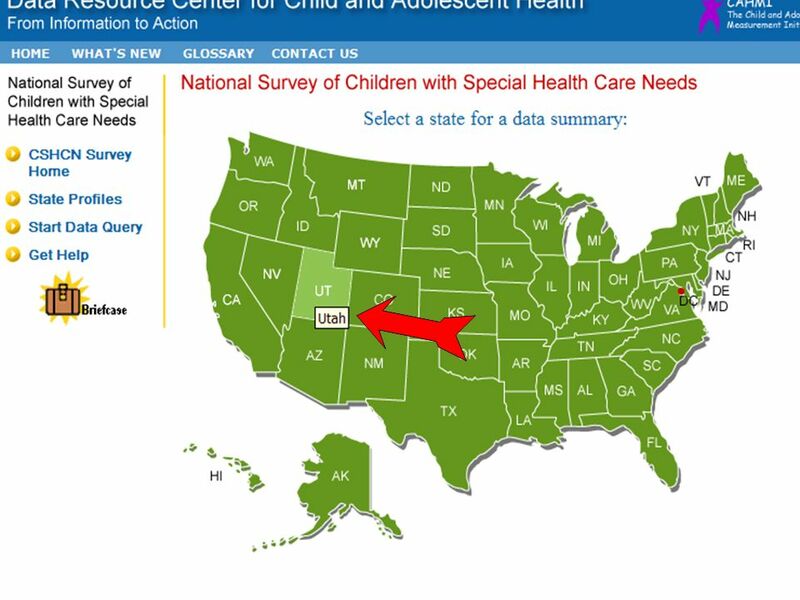 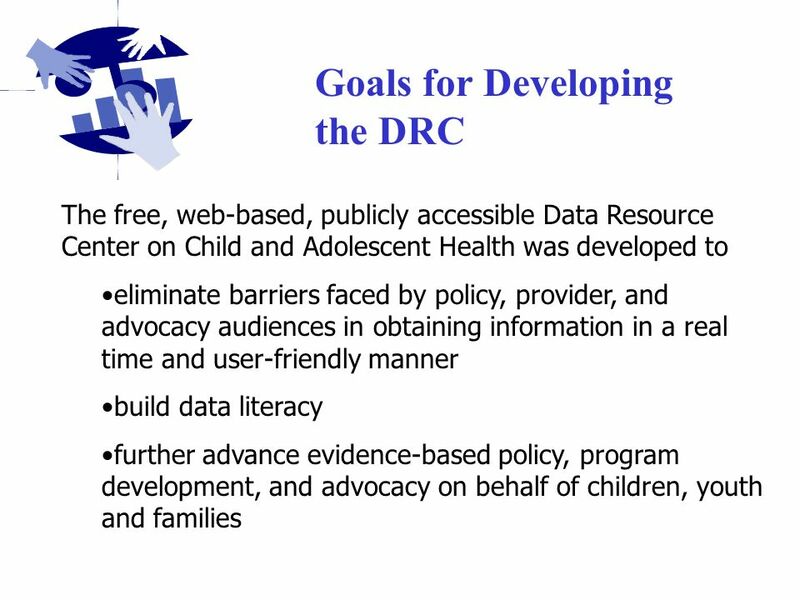 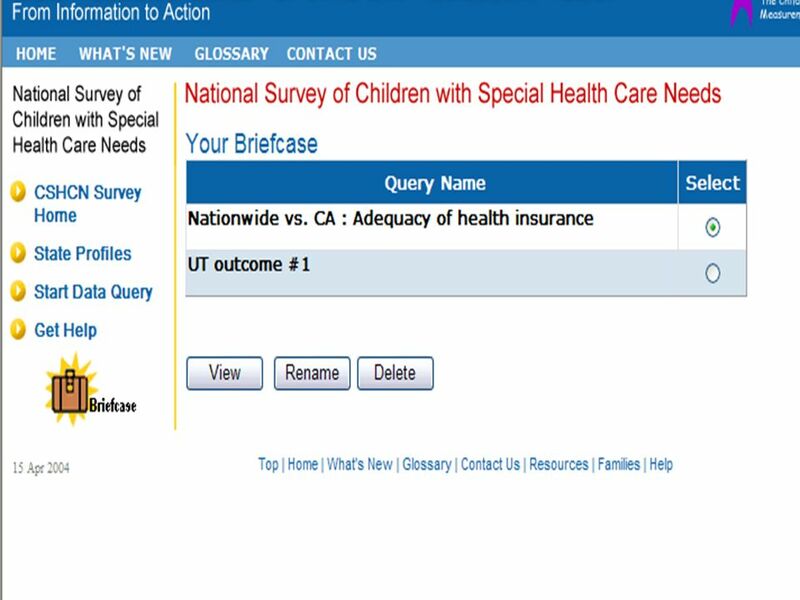 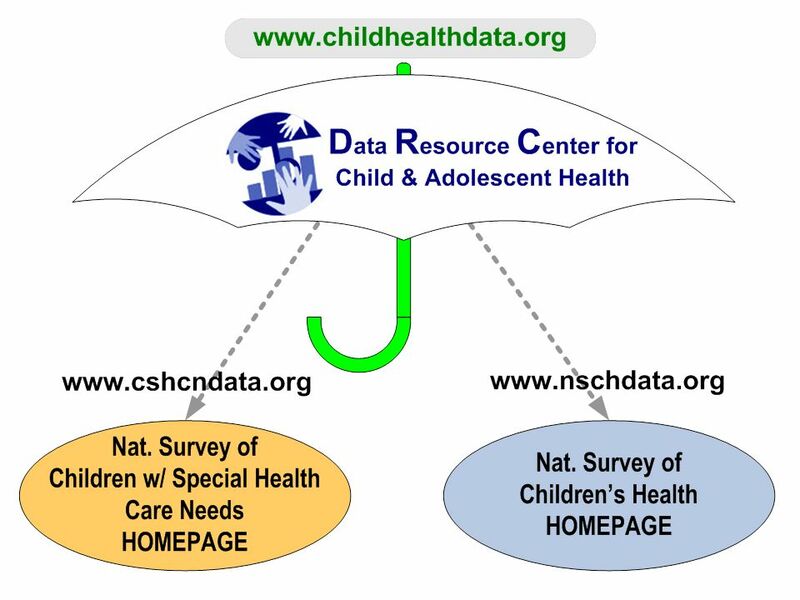 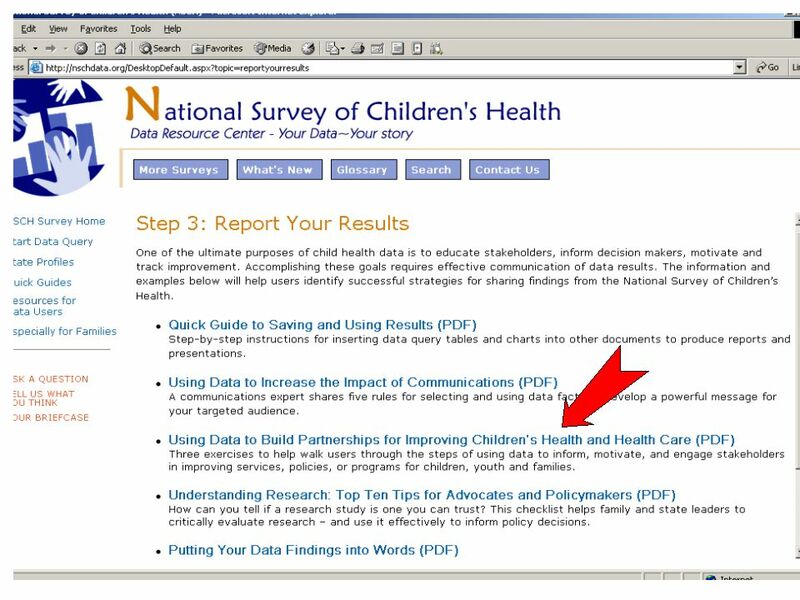 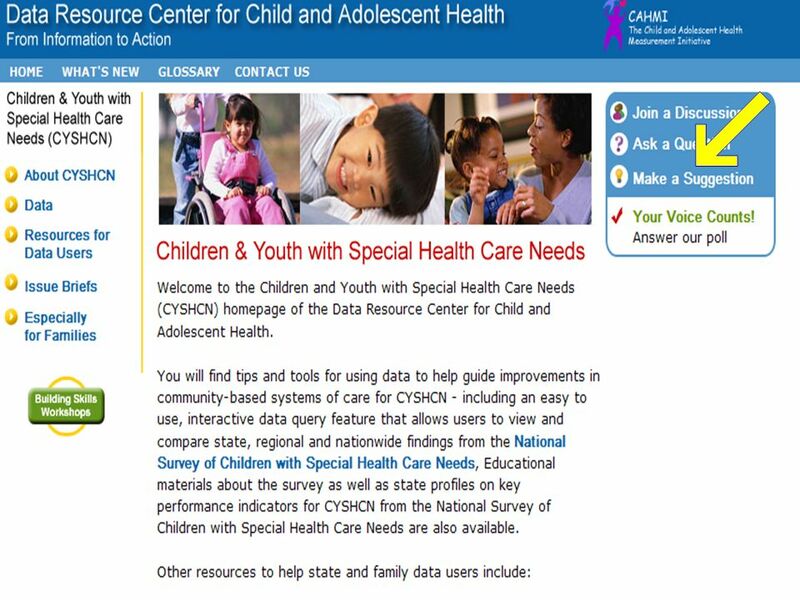 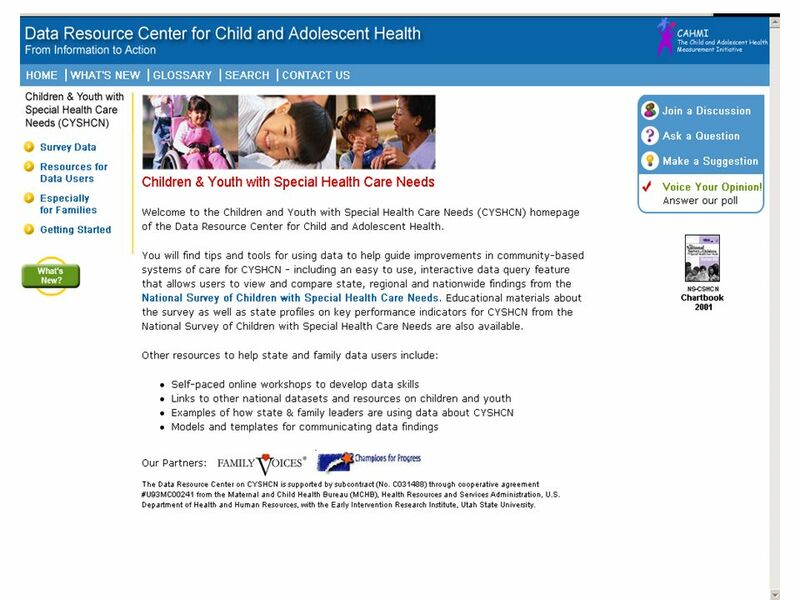 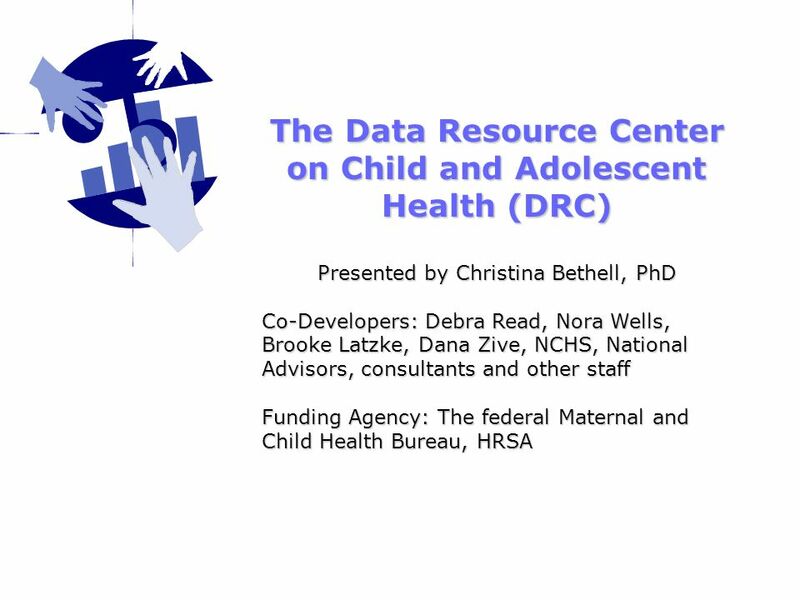 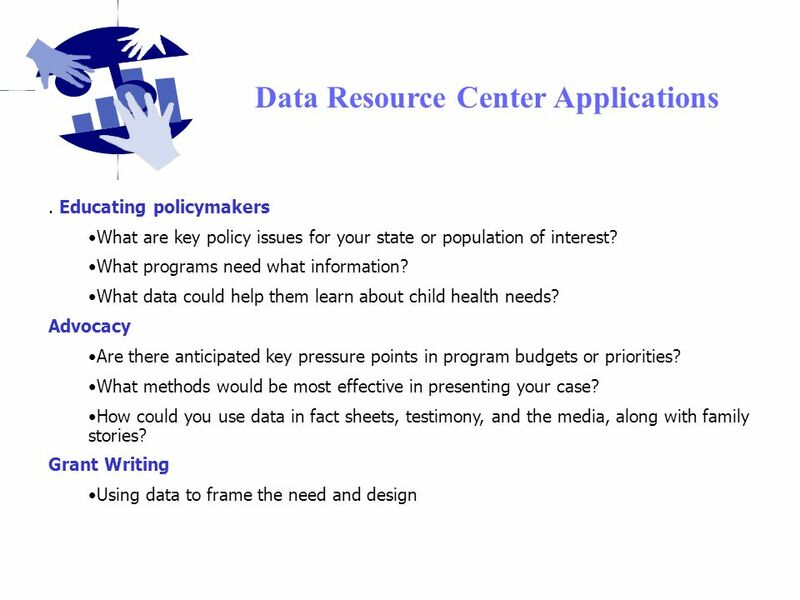 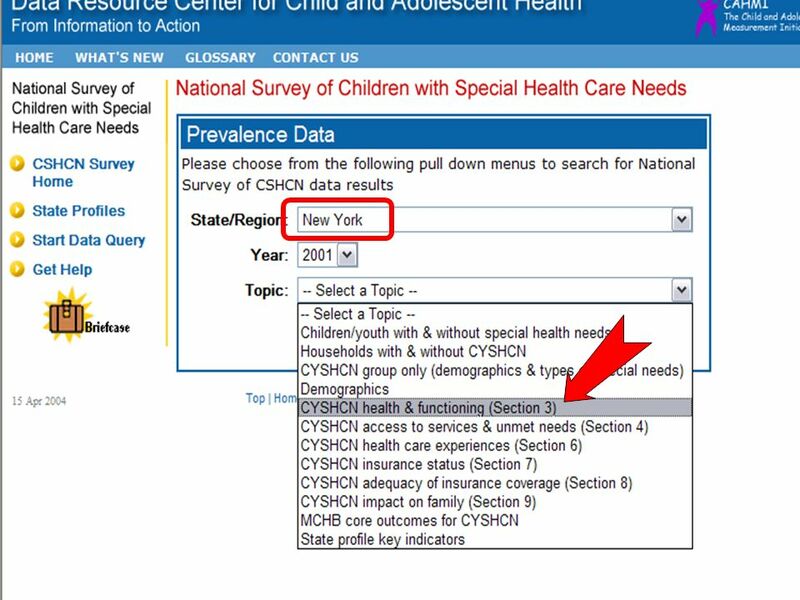 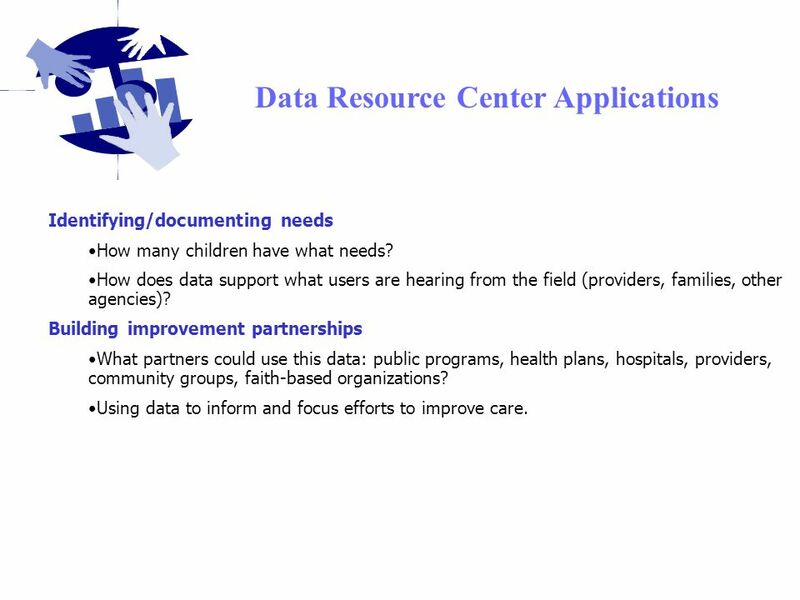 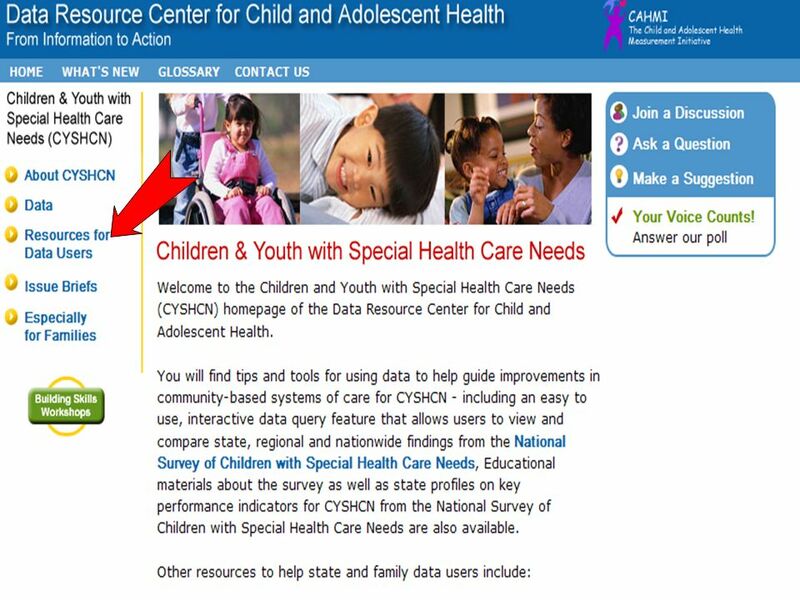 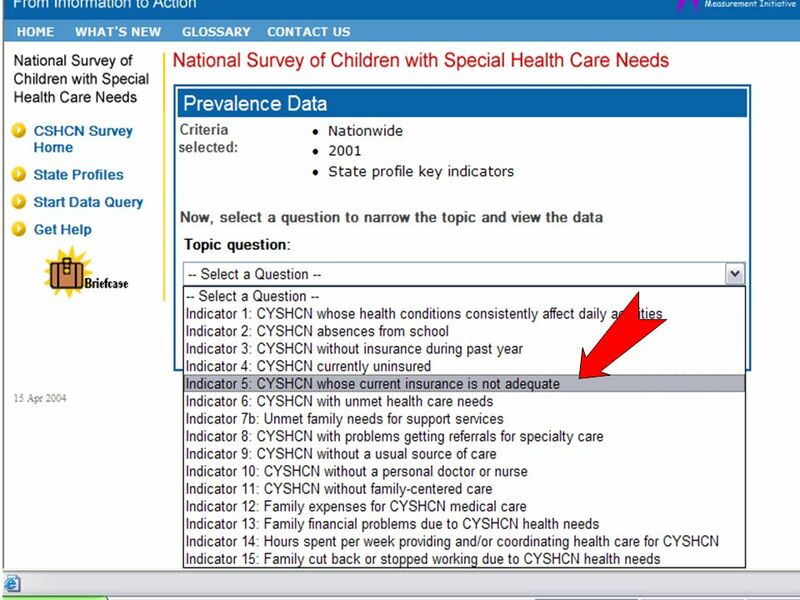 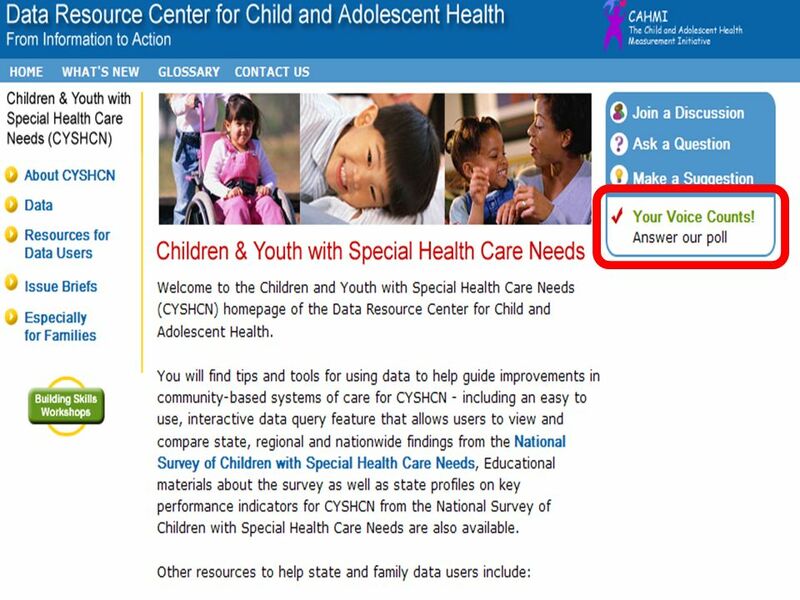 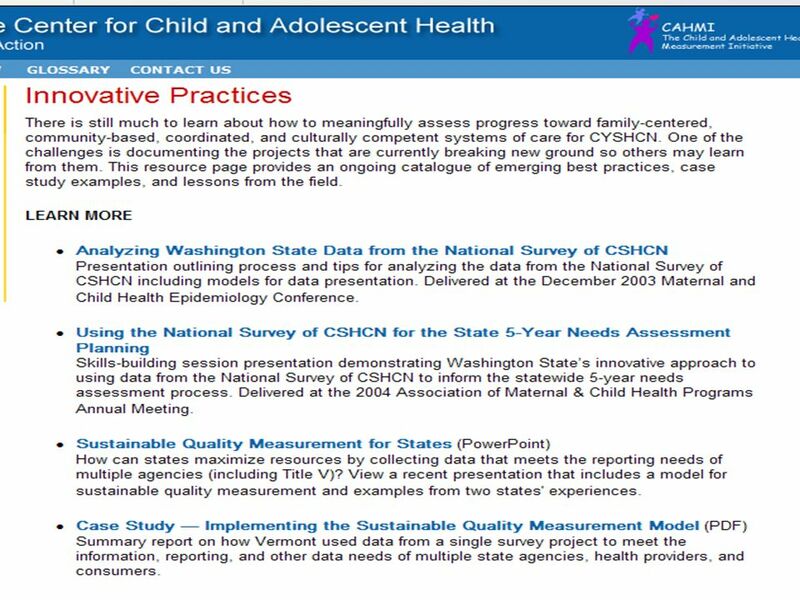 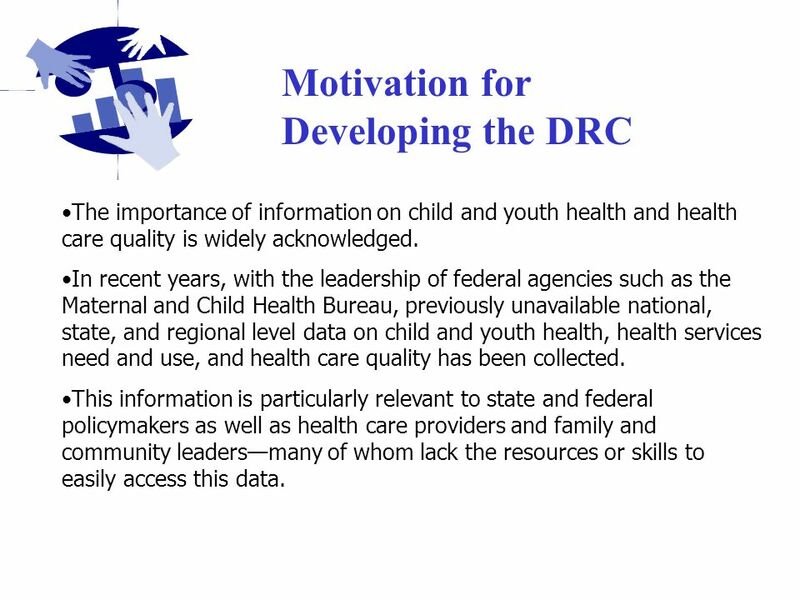 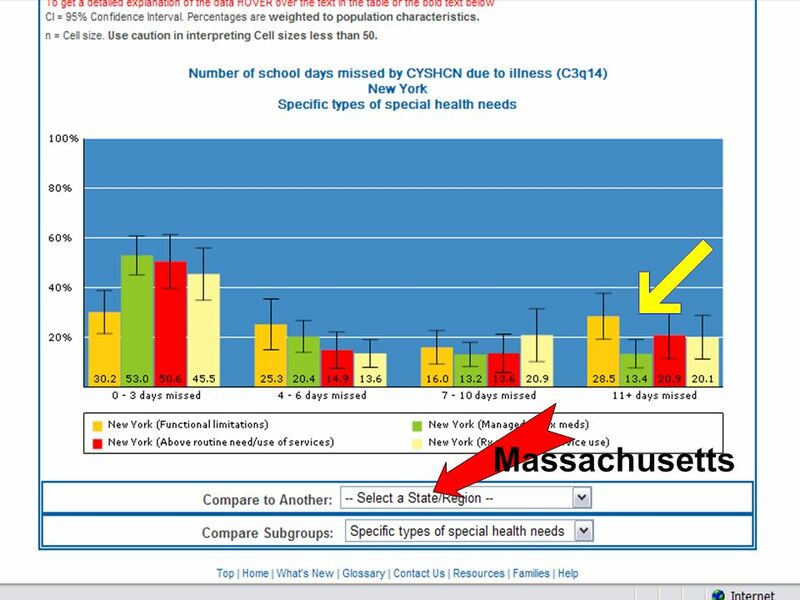 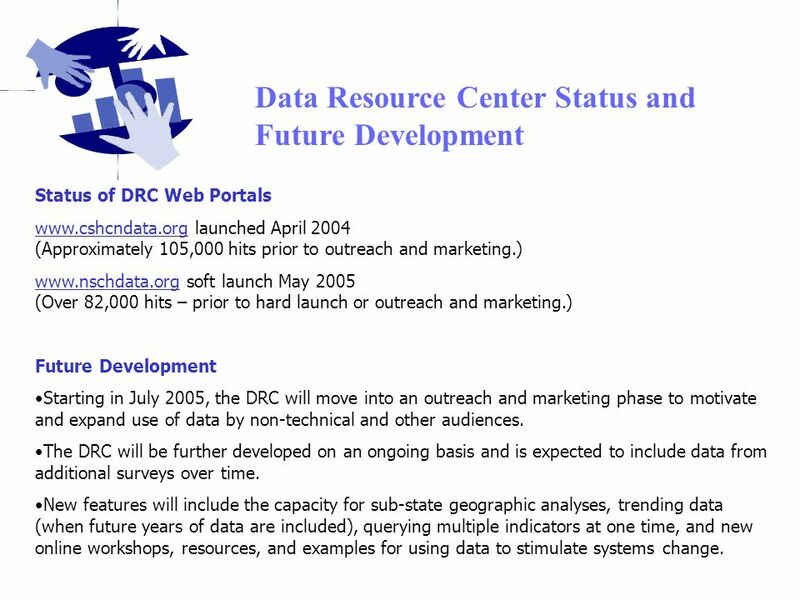 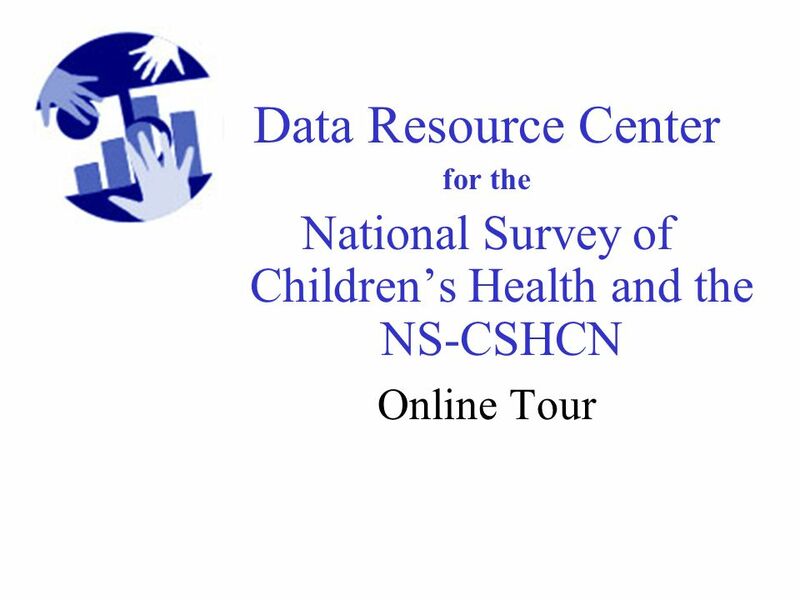 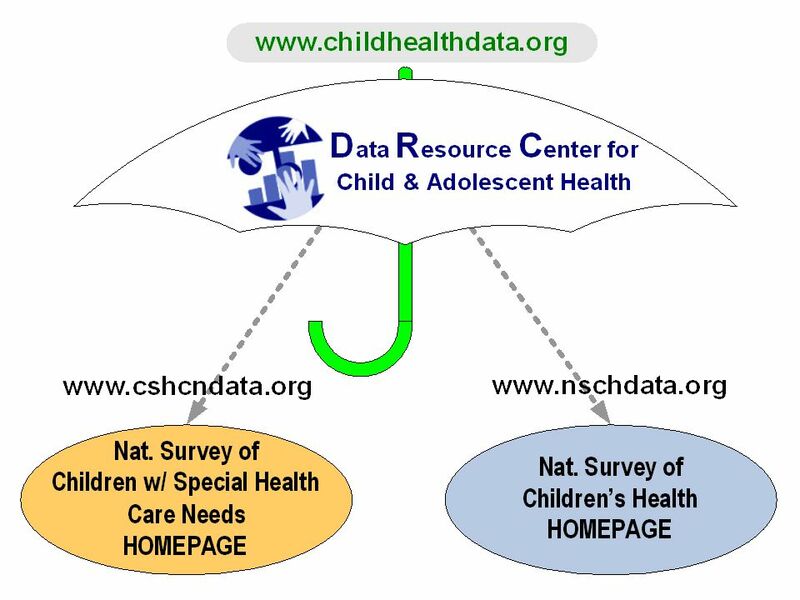 20 Data Resource Center Applications Identifying/documenting needs How many children have what needs? 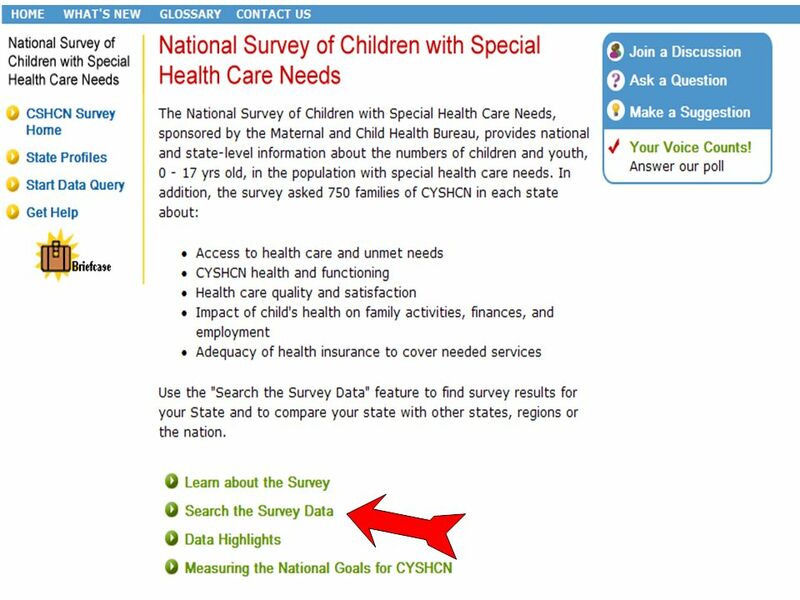 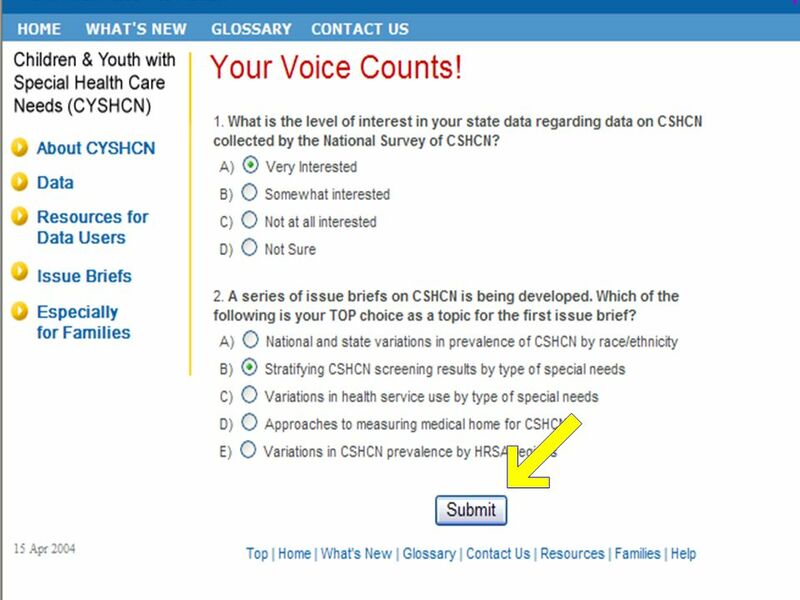 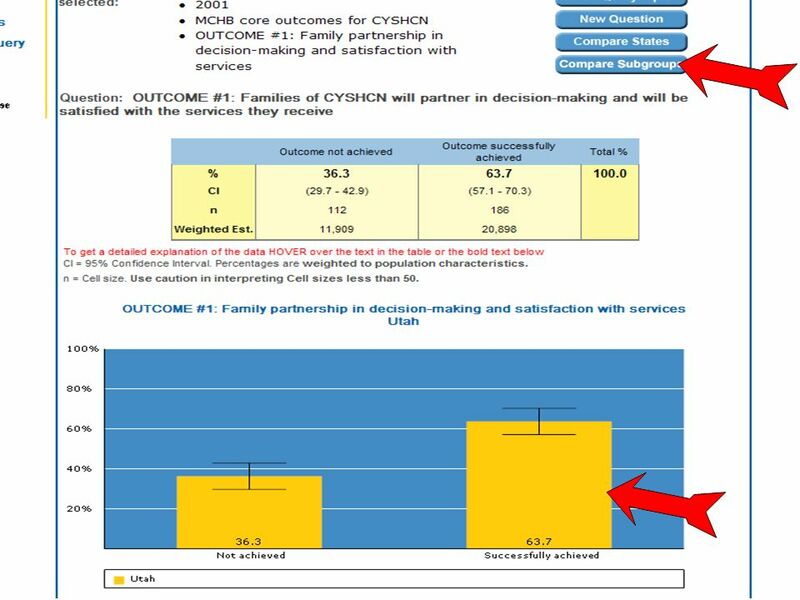 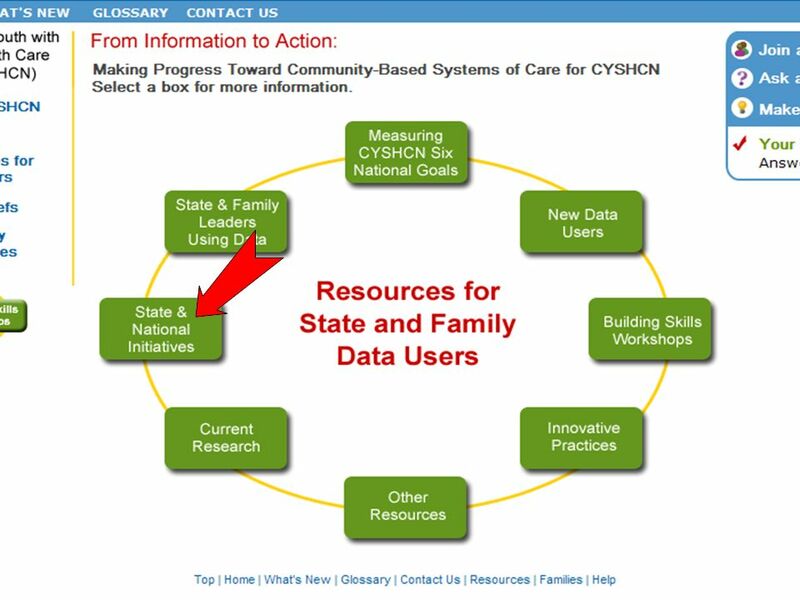 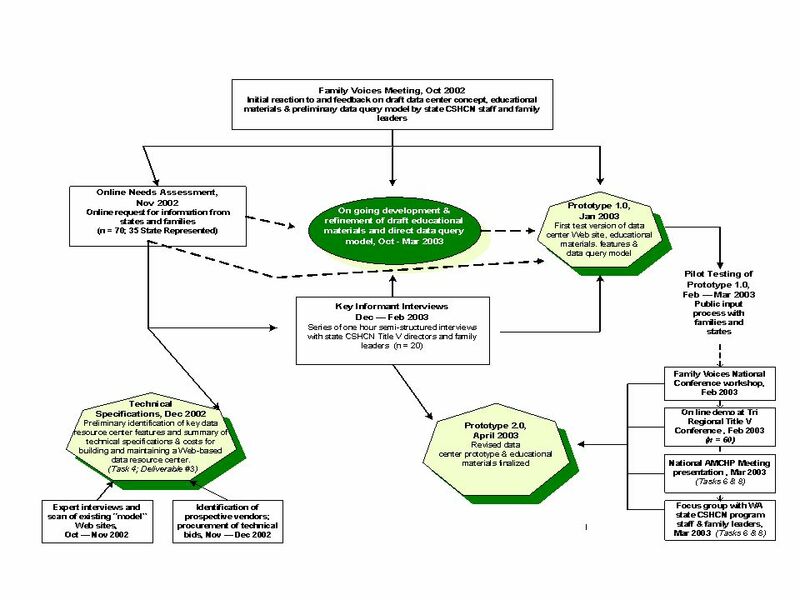 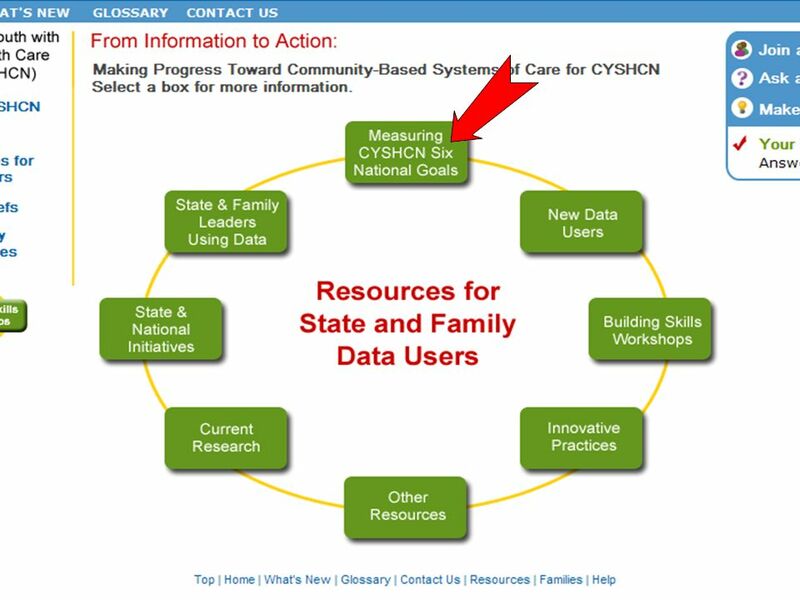 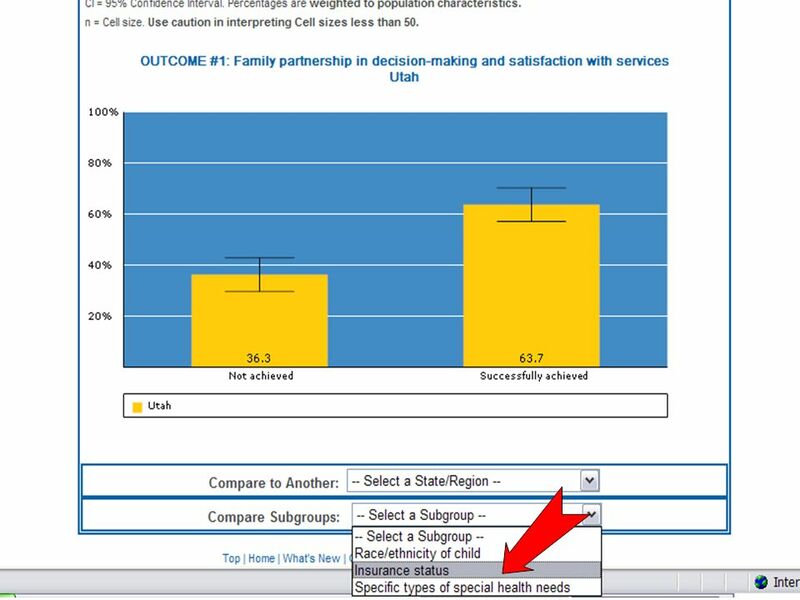 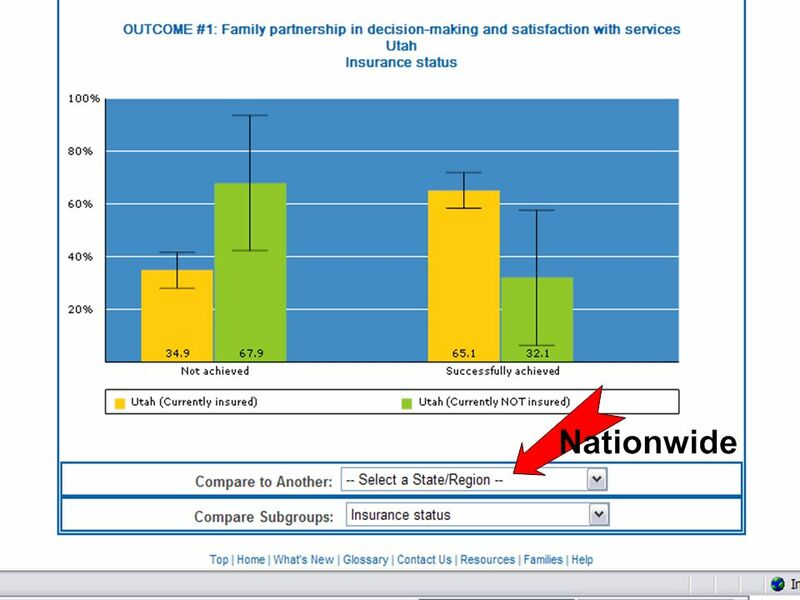 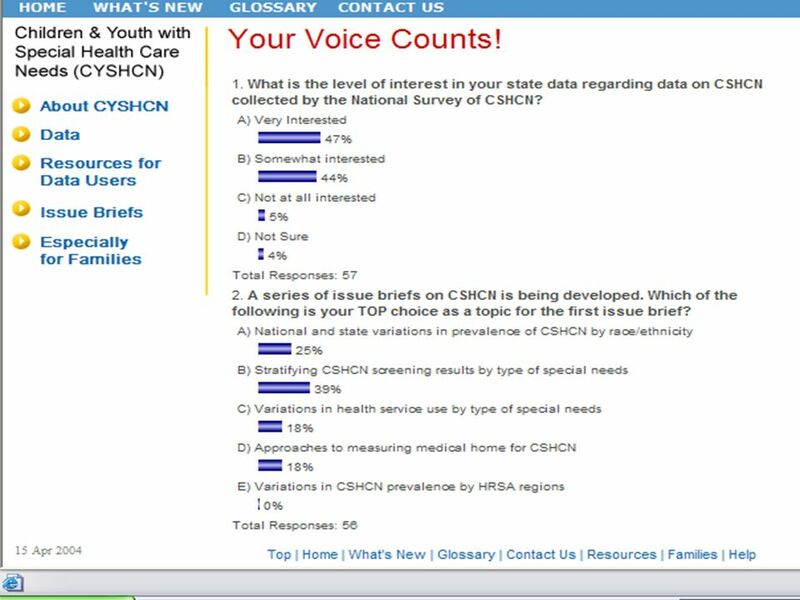 How does data support what users are hearing from the field (providers, families, other agencies)? 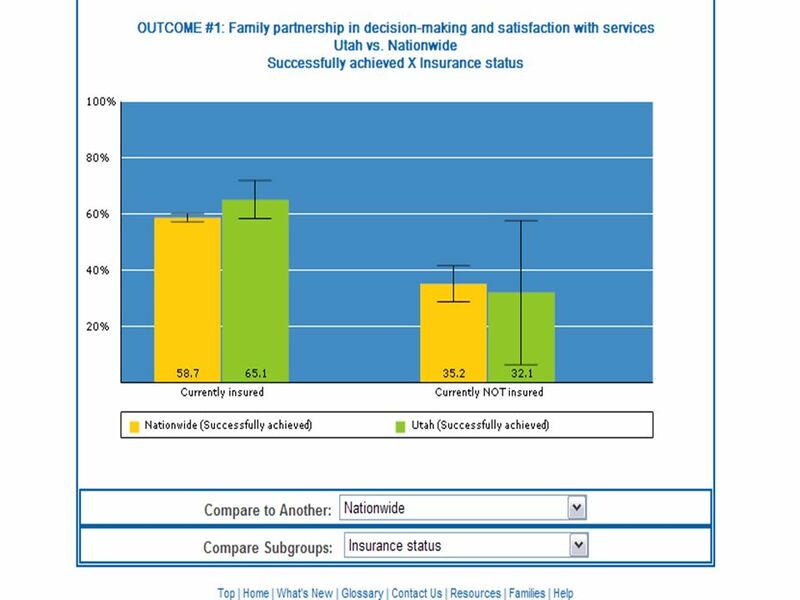 Building improvement partnerships What partners could use this data: public programs, health plans, hospitals, providers, community groups, faith-based organizations? 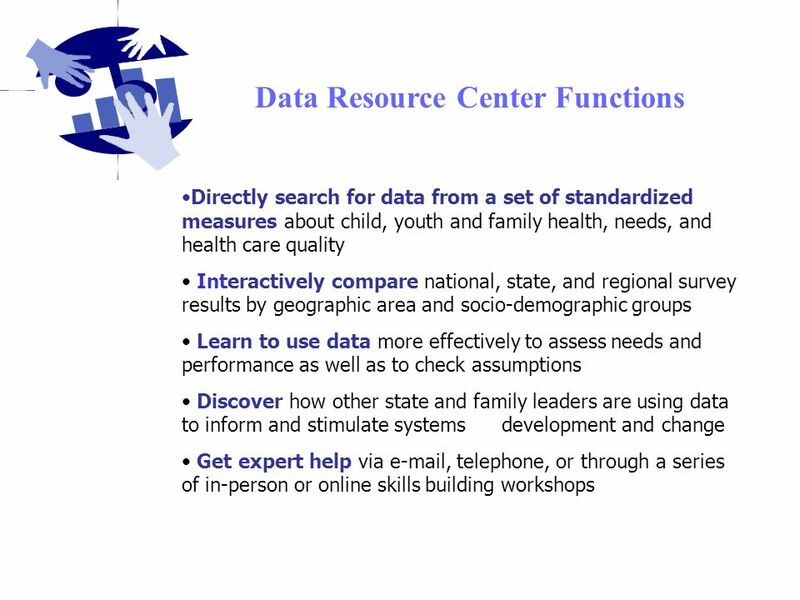 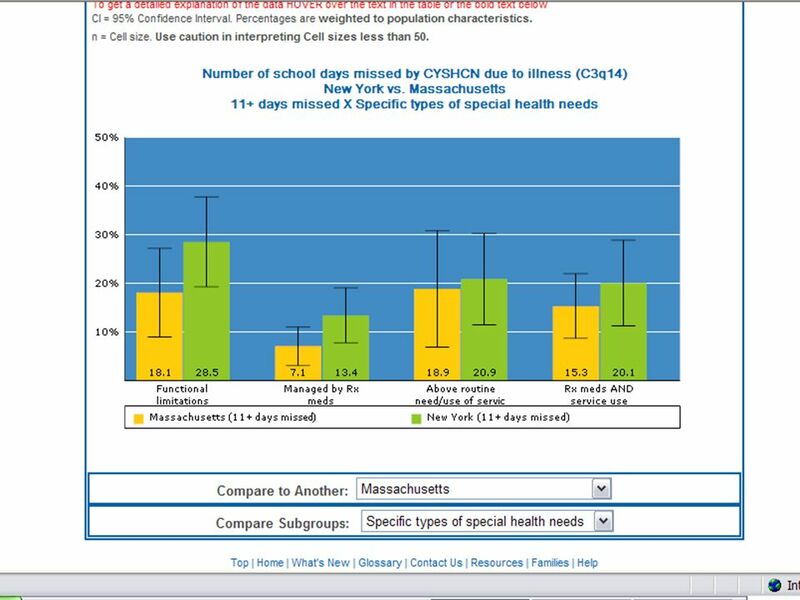 Using data to inform and focus efforts to improve care. 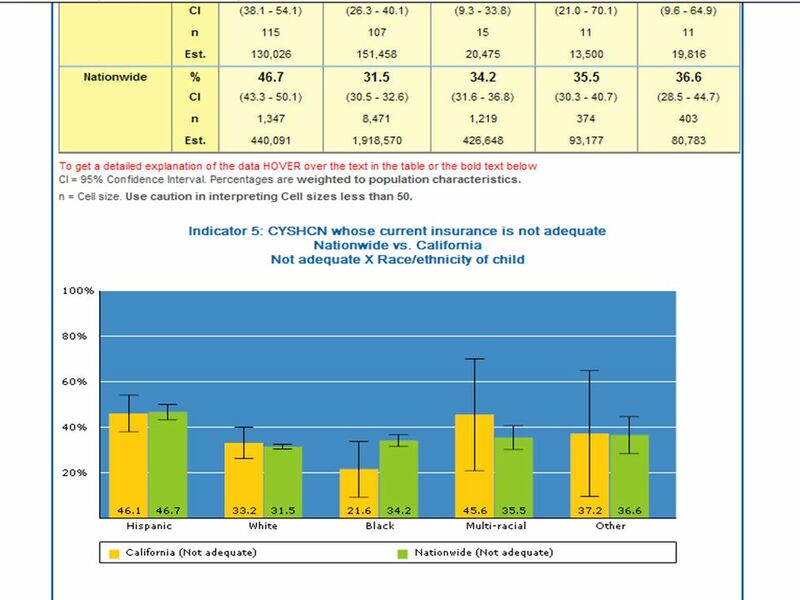 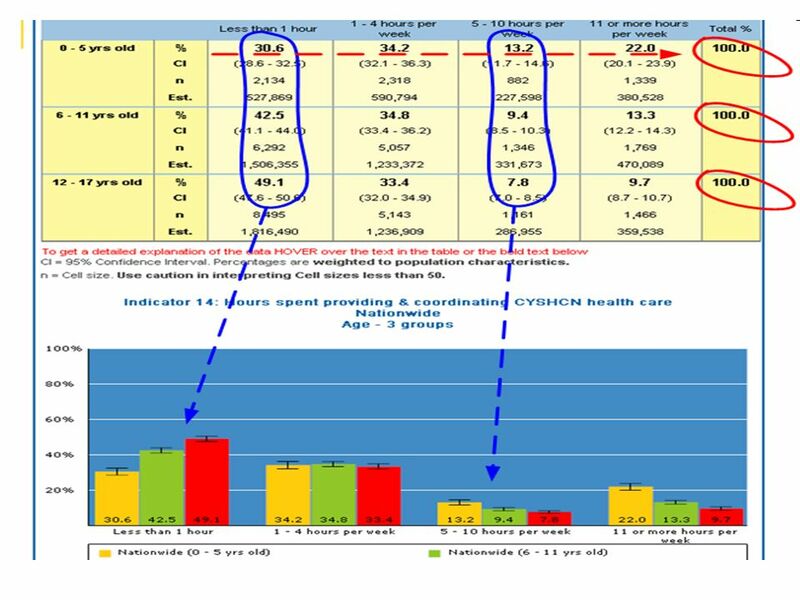 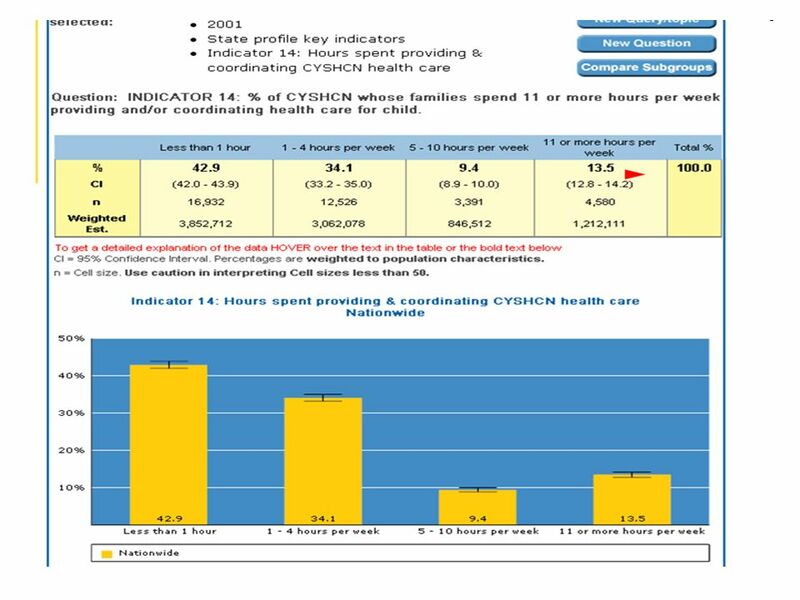 25 Using data to stimulate system change The QUEST! 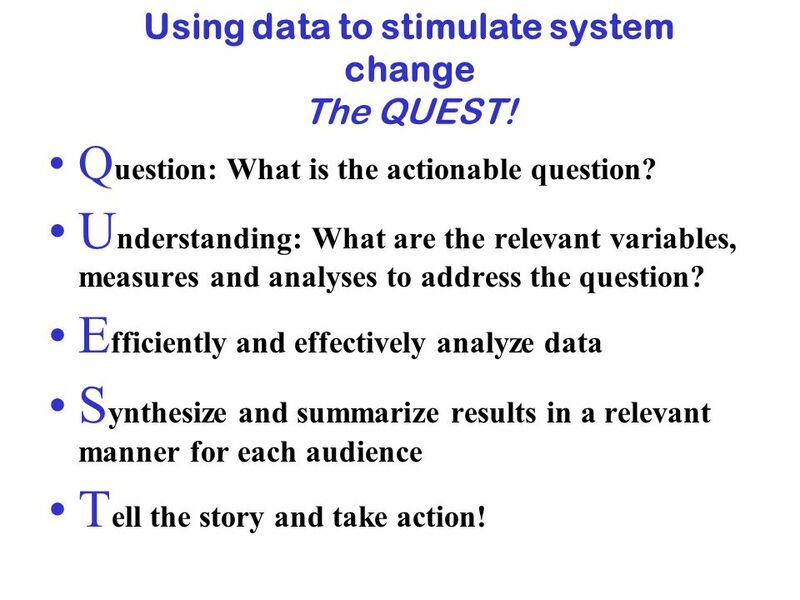 Q uestion: What is the actionable question? 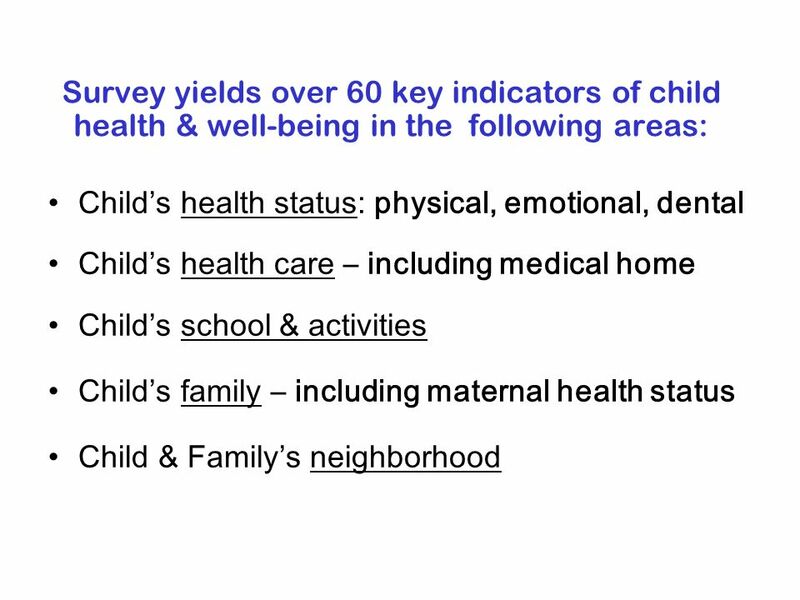 U nderstanding: What are the relevant variables, measures and analyses to address the question? 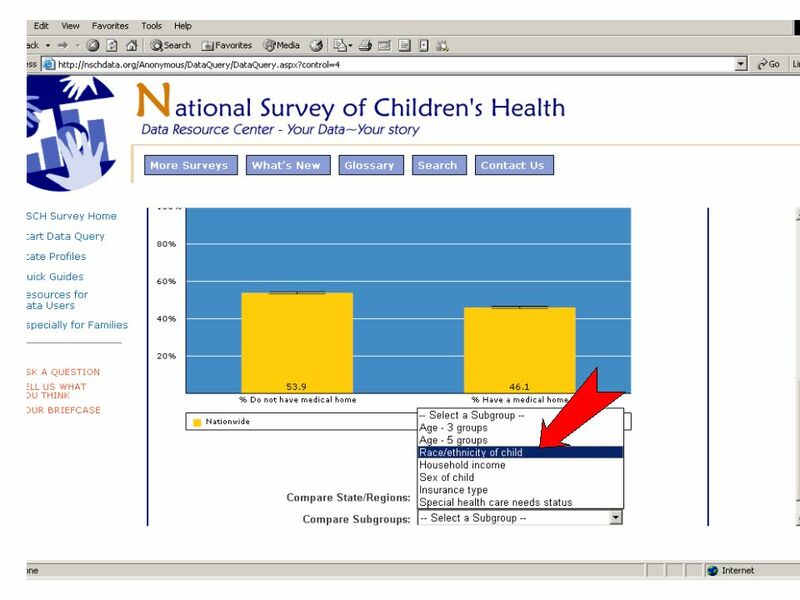 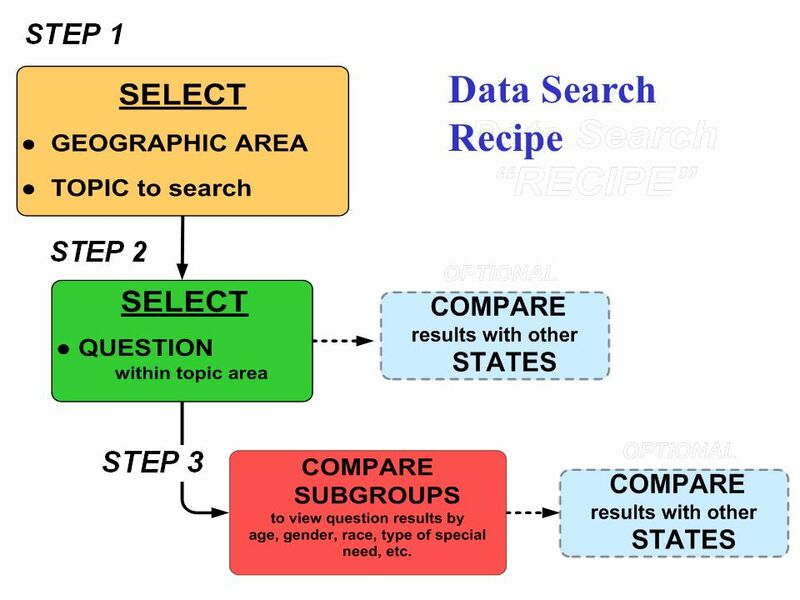 E fficiently and effectively analyze data S ynthesize and summarize results in a relevant manner for each audience T ell the story and take action! 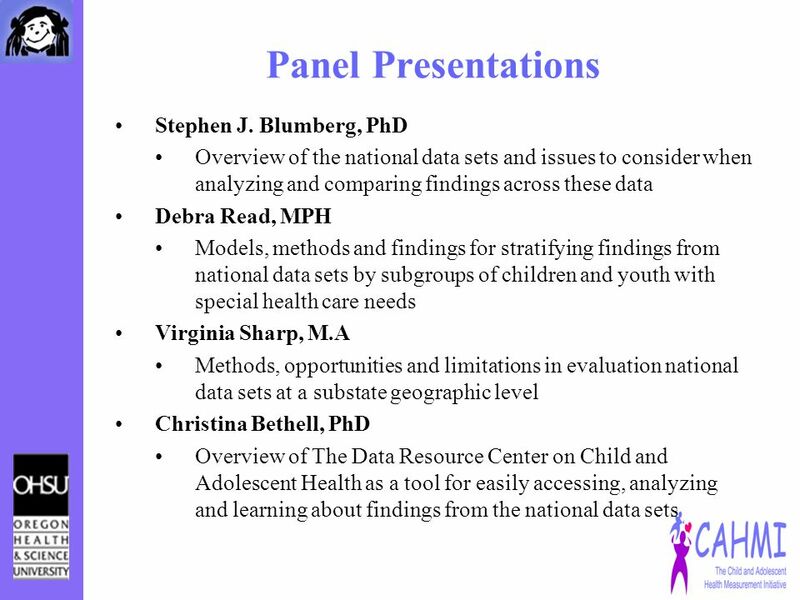 Download ppt "Maximizing the Use of the New National Data Sets Providing Information on Children and Youth with Special Health Care Needs Moderator: Christina Bethell,"
Laurin Kasehagen, MA, PhD MCH Epidemiologist / CDC Assignee to CityMatCH Maternal & Child Health Epidemiology Program Applied Sciences Branch, Division. 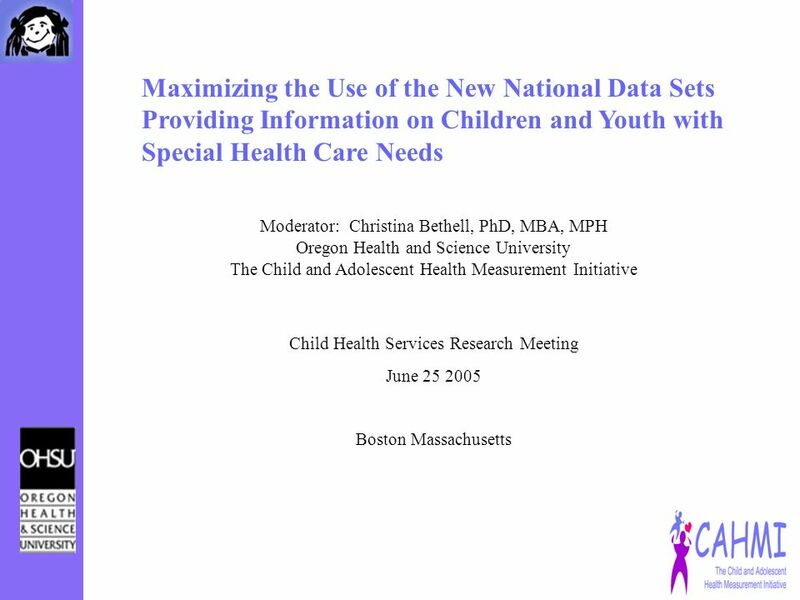 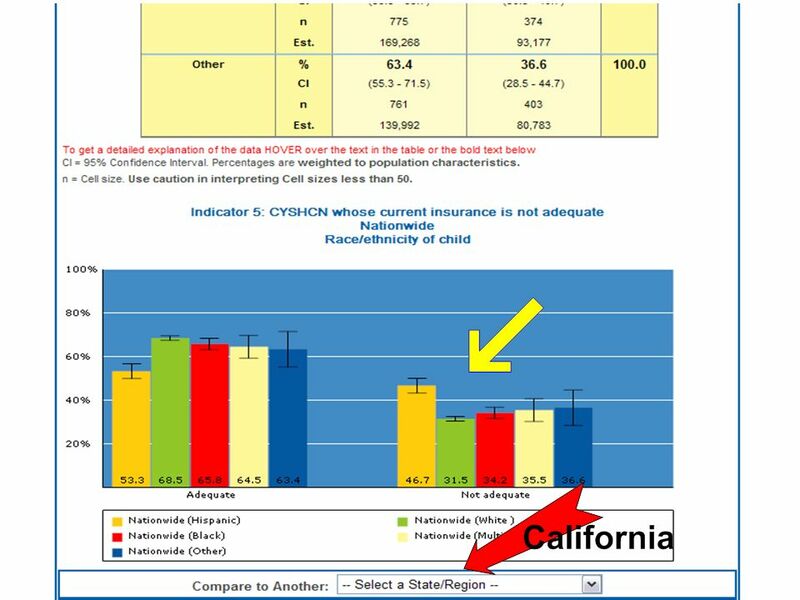 March 29, 2012 Improving Health Outcomes for Children in Foster Care: the Role of Electronic Information Exchange. 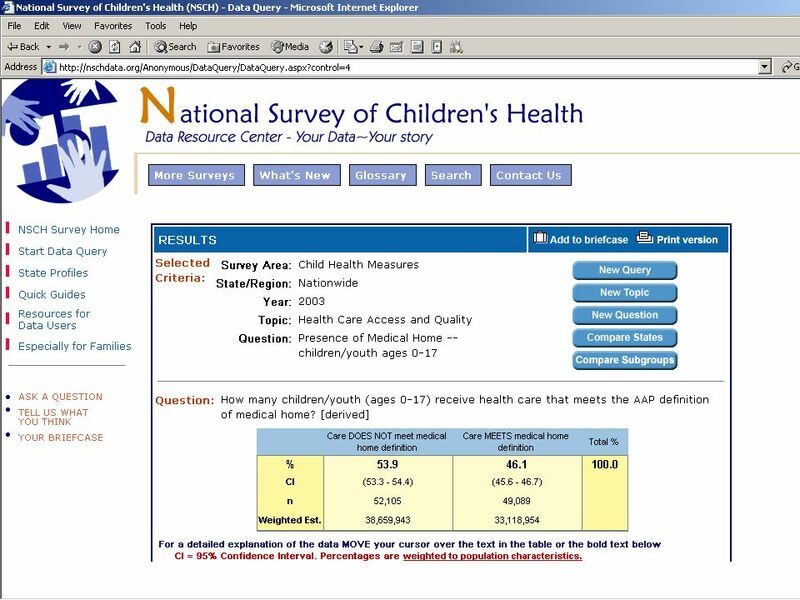 2003 Alabama Health Care Insurance and Access Survey Montgomery, AL May 2, 2003 Ashley Alvord, MPH Alabama Department of Public Health Children’s Health. 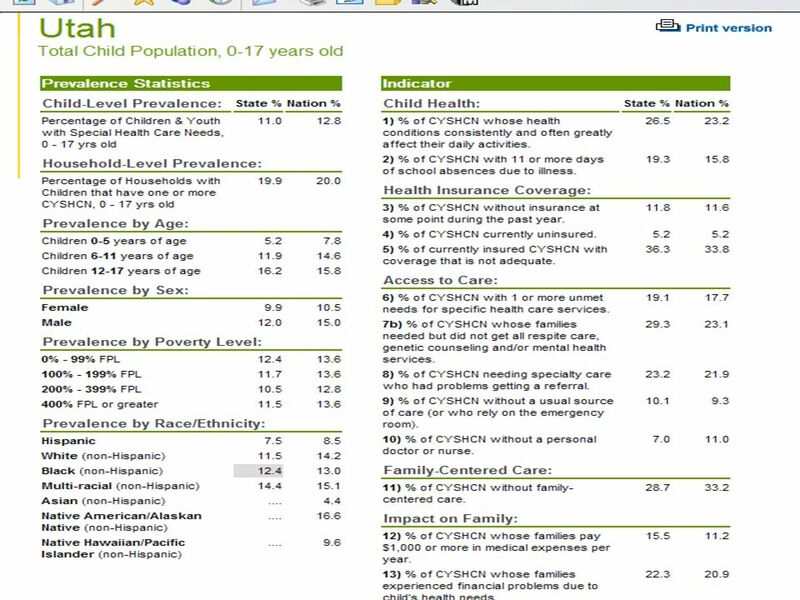 Maternal and Child Health Bureau DECEMBER SLAITS Survey on Children with Special Health Care Needs Bonnie Strickland, Ph.D. MCHCOM.COM Webcast December. 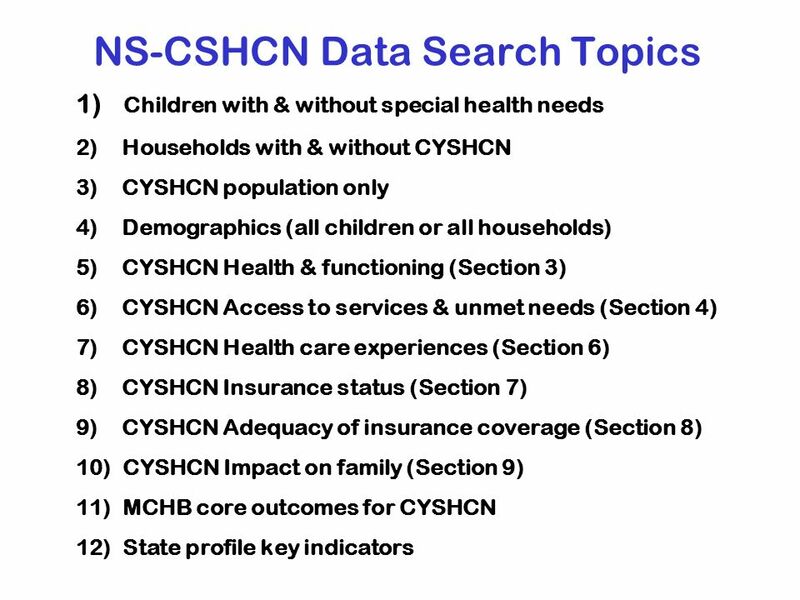  Amended Legislation for Title V of the Social Security Act (1989): “Facilitate the development of community-based systems of services” Healthy People. 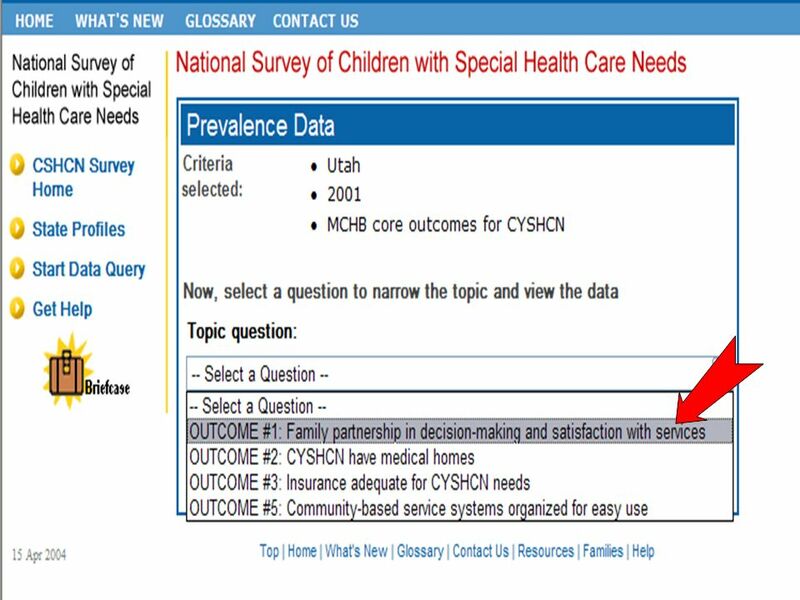 An Introduction to the Survey of Pathways to Diagnosis and Services, 2011 Rosa M. Avila, MSPH Centers for Disease Control and Prevention National Center. 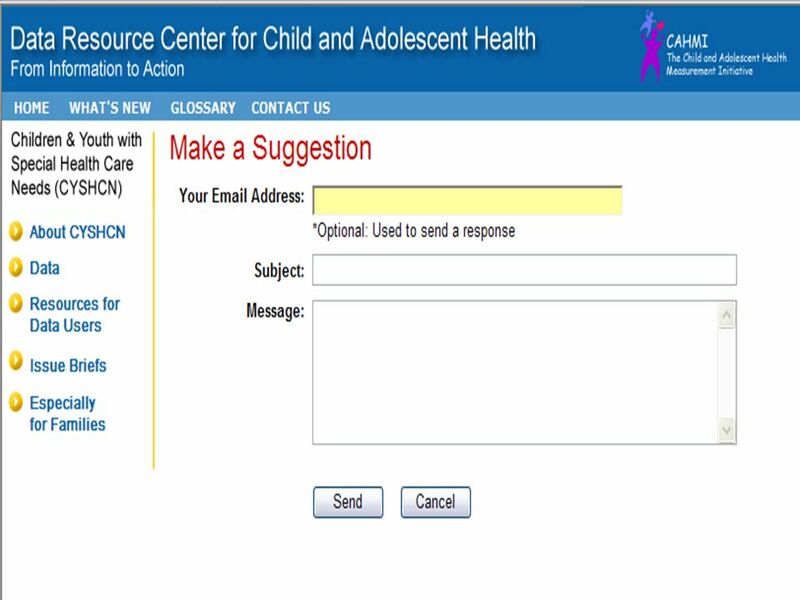 UCLA Center for Healthier Children, Families & Communities Mental Health Need and Access to Services for Children with Special Health Care Needs Moira. 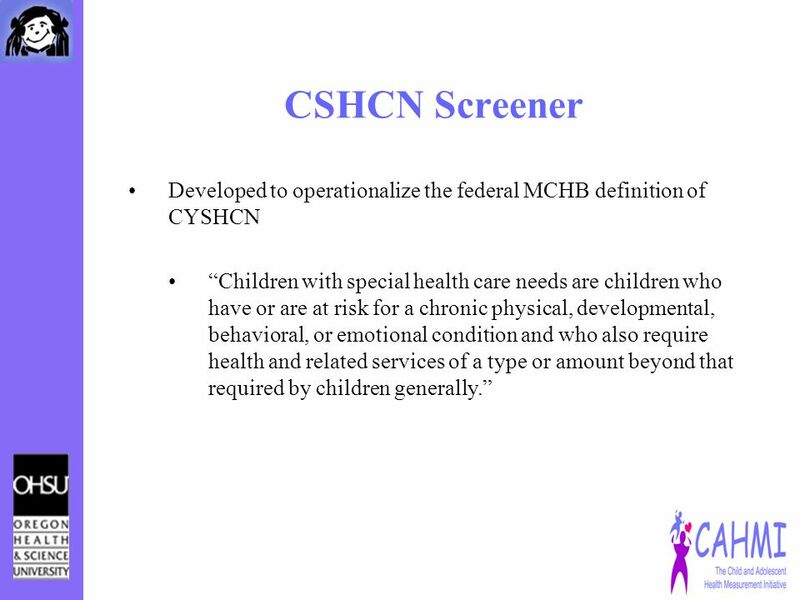 Combating Autism Act Initiative State Implementation Grant Maria Nardella Children with Special Health Care Needs Program Manager Washington Department. 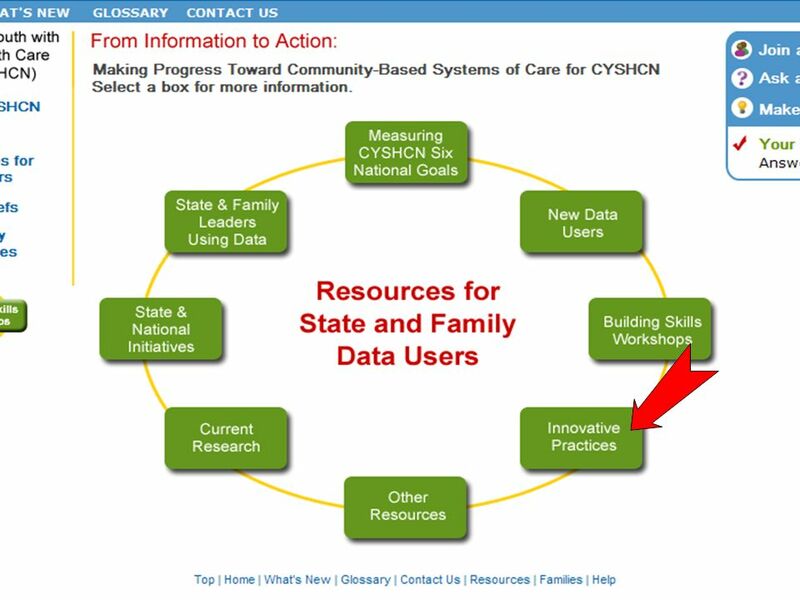 Vermont Department of Health Integrating Community-Based Services for Children & CYSHCN within Vermont Beth Cheng Tolmie, MSW, Ed.D. 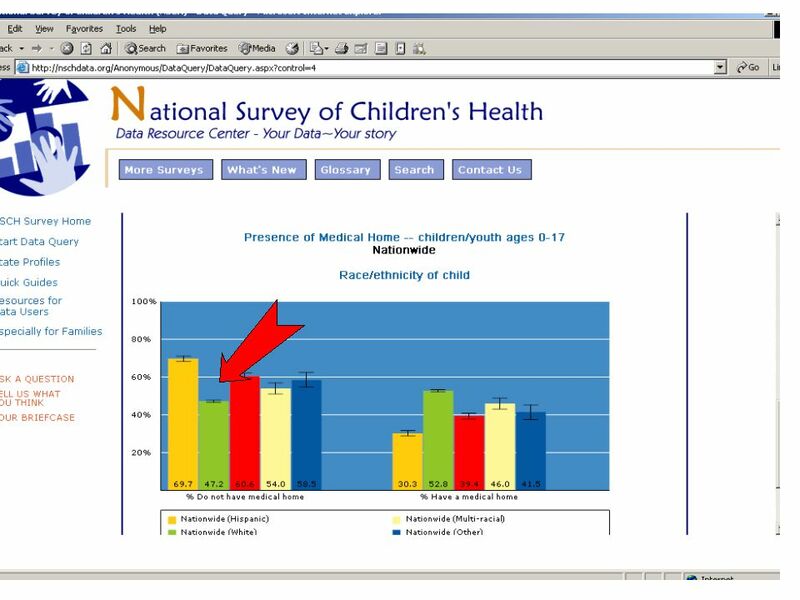 May 5 & 6, 2009. 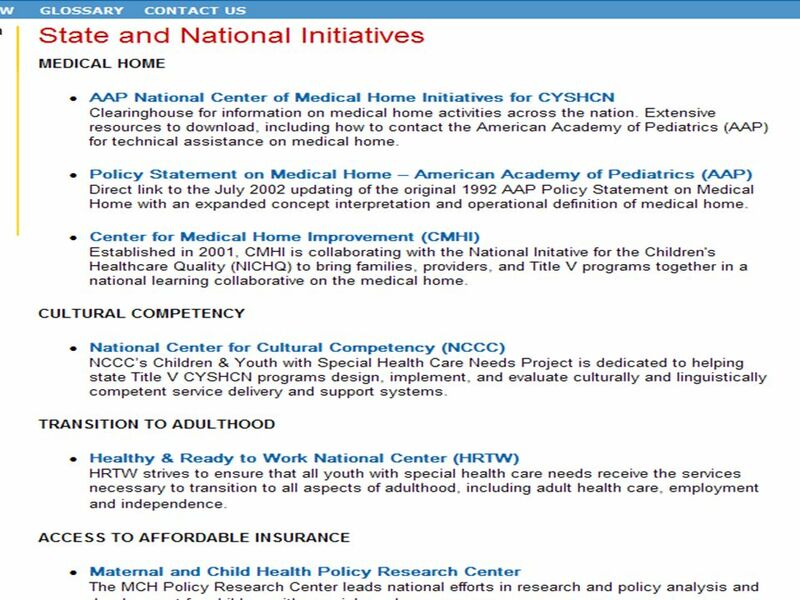 Educating Practices in Community Integrated Care for Children with Special Health Care Needs Pennsylvania Chapter, AAP A Medical Home Initiative of the.